Should I Purchase a ’67 Beetle? It is difficult to speak to this subject without stirring some controversy. Although I recognize that situations vary, in general I believe in what I detail below. Also, I realize that my views are not necessarily endorsed by 1967beetle.com. However, it is because of 1967beetle.com that I have gelled my thoughts into what “makes me go” these days regarding a Policy of Conservation when it comes to the Vintage Volkswagen Community. Because I have remained active in the Volkswagen Community for many years, daily I find myself being asked advice on one thing or another. Giving advice requires that a person not only have some degree of knowledge but that he also be able to give direction. Do we turn right here or do we turn left? We certainly can’t do both. And, to do nothing could be disastrous. To give an indiscriminate signal or, worse, just throw up the hands and let the car do what it will, makes no sense. That’s part of what goes on in my mind when I am asked advice. I spend countless hours giving counsel to people who call, write or come to see me about buying a vintage Volkswagen. Since meeting Eric Shoemaker and 1967beetle.com, I come into contact even more with persons interested in buying, specifically, a 1967 Beetle. One of the most common inquiries regards purchasing a ’67 for a son or daughter to use for driving to and from school and their jobs. Safety for the child is one of the major concerns voiced. A vintage car is not a “safe” vehicle for a person of any age. But, especially it is a poor idea to prepare a vintage vehicle for a child. By reviewing the insurance stats, we immediately can see that rates for young people are high. There’s a reason—children are an increased risk due to the number of accidents they have. Armed with this increased risk of accidents, we must face the fact—a vintage VW is not a “safe” vehicle. There are no air bags, no crush-factors, no power steering, no power brakes, no safety glass and no real safety seats and seat belting. We can do our best but in the end, what we have is a car which is known to be substandard when it comes to safety. There is a third factor that jumps to mind when I hear that someone is contemplating the purchase and restoration of a VW for a child. That is the fact that these cars, which rapidly are becoming scarce in good running, driving condition, should be conserved—not used for a child’s “first car”. We get carried away with thinking how cute it is going to be or how great it was for us when we were young and had a VW. Times have changed. We all know that youth plus vehicles usually results in disaster to some extent or other. Often this means that another VW is put out of commission—usually for good. Oh, I know—that boosts the value of my Beetle…but, at what cost. Probably the next area which I deal with concerns people who want to use a 1967 Beetle as a daily driver. Some write wanting advice about buying a Beetle and add that they want to restore the car while driving it to school or to work. My equation is the same as it has been for some time: there are 3 things necessary for the restoration of a vintage vehicle—Time, Space and Money. It will not happen if only two of these criteria are there. You can mix them however you want—it cannot happen. Serious vintage vehicle hobbyists know that the vintage vehicle is for pleasure driving—not for daily driving. I have mentioned some of the reasons above. Now, to be perfectly fair, I do know a few people who daily drive their Beetles to work and so forth. Usually these are people who have the time, knowledge and means to keep such a vehicle repaired and going. A Volkswagen is a high-maintenance vehicle. Irregular maintenance is a chief enemy. I try to alert anyone who has plans to use his vintage car for daily driving to be aware and prepared for the eventualities. I have an acquaintance who, I believe, thought that once he had restored his Beetle it had a “new car warranty”. Nothing could be further from the truth. When little things happened, this friend became discouraged and finally sold his car and completely dismissed the VW Scene. The next major category of buyer is the one who admits to not knowing the attributes of a 1967 Beetle. My most frequent encouragement is to study the targeted vehicle to know what attributes it should have. This costs no money—it involves only time and diligence. The information gleaned can be used to judge any car that may be viewed as a possible purchase. During this time of study, the prospective buyer also should be gathering funds for the purchase. Chiefly, people fail to do either of the above and end up buying a cheap, junky car (“which fits my budget”). In the long-run, this type of purchase costs thousands more than had the buyer saved his money to buy a nice, complete vehicle in the first place. I guarantee that any vintage car, no matter how good it may be, is going to require maintenance above what a modern vehicle will. Purchasing a vintage car in better condition puts the buyer into the driver’s seat more quickly and more comfortably. For over a year I have been telling folks that within 5 years the average person will have to pay between $10K and $15K for a running, driving (not restored) 1967 Beetle! I arrived at this “formula” by closely watching the sales of many 1967 Beetles. We are 4 years away from my target date—2019. By conserving these cars—buying and using them wisely–my hope is that the average person who wants to get into a VW Hobby Vehicle still be able to do so in the next while. But I am becoming more doubtful by the year. Realism is a harsh master which often is viewed as pessimism. Long ago I recognized my driving realistic philosophy. LOL It often has gotten me into trouble but also has kept me out of considerable trouble. In any case…my parting point would be to buy carefully and wisely with knowledge. 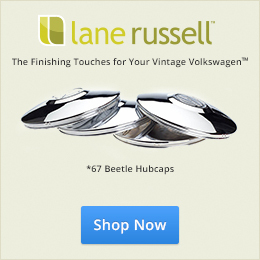 Long Live the Volkswagen Beetle! For as long as I can remember I have wanted a beetle. But it wasn’t until now that I have one. As I go down the freeway with the windows down in slow lane, I find that I can’t be in a hurry. I don’t think most kids have the patience. Outstanding article! Wisdom speaking! Thanks Jay. Well said Jay. I have an 18 year old grand daughter, who I am helping buy her first car. Here are the requirements: 1. Safe, 2. Reliable, 3. Relatively cheap to maintain. I have the Honda Civic, the Toyota Corolla and the Mazda 3 on my list so far. She wants a Jaguar. Hmmm, she may be riding the bus for a while. Given the love they deserve, the Beetle will outlive us all. Jay … as with everyone else … Gary and I agree with the sentiments in this great article 100%. We, like most parents, learned by doing. When our oldest daughter, Susan,needed transportation to high school, we bought her a nazzy little ’66 Mustang. She was less-than impressed but she drove it without much complaint as soon as the boys in our small, rural town, began to strike up the “cool ride” conversation with her. But, she really hated the car. So after a couple of years, she traded up for a new Jetta. Fast forward a year or so and one rainy night heading to home from work, she hydroplaned into a bridge embankment and we got that horrible call all parents dread. She was basically unhurt (some whiplash and bruising from the airbag deployment); both the ER nurse who happened to be behind her and the sheriff who responded said the car saved her life! All the safety features worked perfectly which would not have been the outcome in the 30-year-old Ford. So … always say yes to a VW but not a vintage one! I applaud the author of this article for pointing out some real common sense items. The first having to do with the safety aspect of a young person driving a vintage VW. He is right, they are not at all up to today’s safety standards. They are part of history, and the ownership of one should be approached in that way. To guard, nurture and protect your child up to driving age, and then to hand them the keys of a vehicle that has none of the modern safety protections built into it really isn’t being a good parent. Your child may be a great, safe driver, but the person in the 5 ton Pickup, that loves to run red lights is not. Don’t take the chance of putting the most important people in your life at risk, before really analyzing the risks. I would suggest that the purchase of a late 90’s or a vechicle manufactured in the 2000’s would be a far more appropriate, and above all safe option, heck a modern VW Bug or Golf would be a great option ! I love this vw beetle world, the people are the BEST. So far everyone you talk to is always wanting to talk. And it’s even better when when you see another beetle you have to wave with a smile as you both look at each other rides! 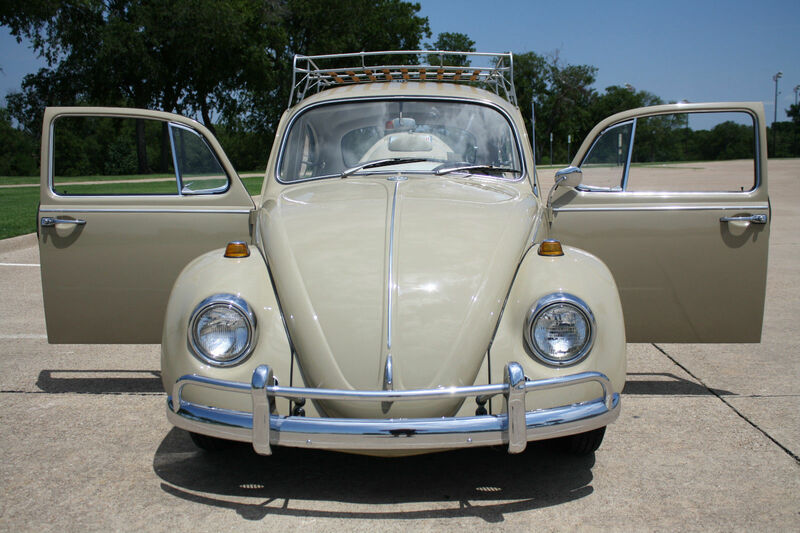 I so proud when someone asks me what year my beetle is I grin from ear to ear and say 67′. I stop listening to anything but the engine, like after a good rain going through town. The exhaust sound bouncing off the buildings you pass. Going through Mount Jackson’s covered bridge has always been my favorite. You are 100% right, Jay. Considering what I did to my poor father’s VW three decades back, I would never let a kid drive my VW! Much too dangerous and much too dear. These cars need to be preserved. They should not be daily drivers either. Thirty years ago they were just ubiquitous old cars. But no longer. Take them out for a Sunday drive and get them out on the highway a couple of times a month but keep them, and your families, safe from harm. Thanks for joining the conversation, Stephen! Yes and yes to both of your basic statements! Our daughter was injured in two Beetle vs big car accidents. One resulted in a concussion for her. Just a word of observation here–in both accidents the driver of the VW made a left hand turn and our daughter was the front seat passenger where the big car hit the VW. I instructed our children and my wife never to make an unprotected left-hand turn (one without a traffic light). It has been adequately proven, since that time, that making a left-hand turn presents a major opportunity for an accident. I also instructed our family never to enter the intersection while waiting for traffic to clear. Enter the intersection ONLY when there is no on-coming traffic. This used to be stressed in driving school–but no longer is taught (here in Texas). Let the fools who are urging you to turn (usually by honking) honk all they wish. It isn’t their cars or their lives which are on the line! Well…here I go again…on my soap-box platform. But…we need to be safe and to use our heads when driving our precious VWs. Our two daughters (now 34 and 41with their own little ones) practically grew up in the back seat of my ’67 sunroof bug — only one seat belt in back that I had installed to accommodate the rather crude infant car seat we had at the time. They loved to ride in “the way back” — the space behind the back seat. When they were little in the 70’s and 80’s, I took them everywhere around San Diego in that car: school, soccer games, parties, etc. Never had an accident of any kind. But, when the oldest became eligible to drive in 1990, she got my wife’s ’77 Volvo DL which took her to college and got passed down to her younger sister. My wife and I knew that our girls wouldn’t be safe in a stick-shift Beetle. My ’67 bug was my daily driver until 2001 when I bought a NB turbo. Now I take the old Bug out and about once a week or so — to keep him exercised and to commune with his soul and revel in the smells and sounds ingrained over the 48 years we have been together. It continues to be a sweet ride, but I wouldn’t drive our grand daughters any farther than the end of our block and back in the old fellow. As much as I love my ’67, I love my grand daughters more. Thanks, Jay.I always enjoy hearing from folks whose enthusiasm is tempered by experience and whose experience has brought wisdom. For years now I have driven the Bug with a 25lb. plate (from an old barbell set) in the well in front of the spare tire. At least it helps when crosswinds want to take over the steering. A couple of years ago I had three point seat belts and front disc brakes installed. The latter provides much improved stopping power and the former lets me pretend I won’t hit the windshield should I crash into something. Of course, all of us who drive old Bugs know that it requires a very different mindset from that of drivers of modern vehicles; it’s somewhat comparable to the difference between meditation and heavy metal “music.” Enjoy.